It’s a mistake to forgo flood insurance on your home or commercial property. Your standard homeowner’s insurance policy or commercial building policy will not cover your losses in the event of a catastrophic flood and Federal disaster relief isn’t always the “relief” you think it will be. Now is the time to shop for flood insurance quotes – before disaster strikes. 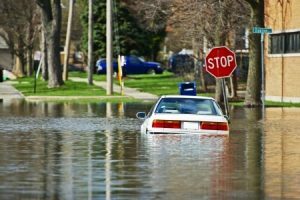 Unfortunately, homeowner’s insurance policies don’t typically include flood coverage, and sadly, not all property owners realize this before it’s too late. By working with a Five Brothers Insurance agent who is 100% to providing you with comprehensive insurance coverage, you can receive the personalized attention needed to fill in any coverage gaps found in your current policies. Federal disaster relief is only available when the President declares a formal disaster, and even in instances where a disaster is declared, the funds are capped at amounts far below what many property owners need to recover their losses. Additionally, the funds provided are rarely a gift, but rather, they are a loan that will need to be paid back over a period of time. By purchasing a separate policy specifically for flood coverage, you can ensure you are covered in nearly all circumstances. At Five Brothers Insurance, we are an independent agency with decades of experience and can work with a wide variety of insurance providers, which ensures we are able to find the most affordable policies for our clients. We gladly provide flood insurance quotes for home and business owners in Madeira Beach, New Port Richey, Oldsmar, Apollo Beach, Clearwater and the surrounding areas, so contact us today to speak to an experienced Five Brother Insurance agent about your flood insurance policy needs.